Plants provide a variety of herbs and spices available in types; based on the part of the plant used and the form in which it is presented. Herbs and spices come from the leaves, roots, seeds, stems or flowers of plants. They may be in the form of fresh or dried leaves, powder, seeds or as a root; and in a variety of flavors, according to Varioustypes.com. Herbs and spices may be used for culinary or medicinal purposes. Basil is an annual plant, native to India and Asia where it is cultivated as a perennial because of the warm tropical climates, according to Ohio State University. Basil is a part of the mint family; there are forty different varieties of basil. Ocimum basilicum or Sweet Basil is the commonest and most popular. Sweet Basil has lush, green leaves with a sweet minty, taste and aroma. Basil adds a refreshing odor and a lush look to a garden and makes a beautiful potted plant. Basil enhances the taste and flavor of salads, soups sauces, meat dishes and vegetables such as potatoes and spinach. Chives, or Allium schoenoprasum, are a hardy, perennial plant that belongs to the same family as onions, leeks and garlic. This herb may be used as a healthy garnish, and gives a mild, onion taste to salads, soup, vegetables, eggs and meat dishes. 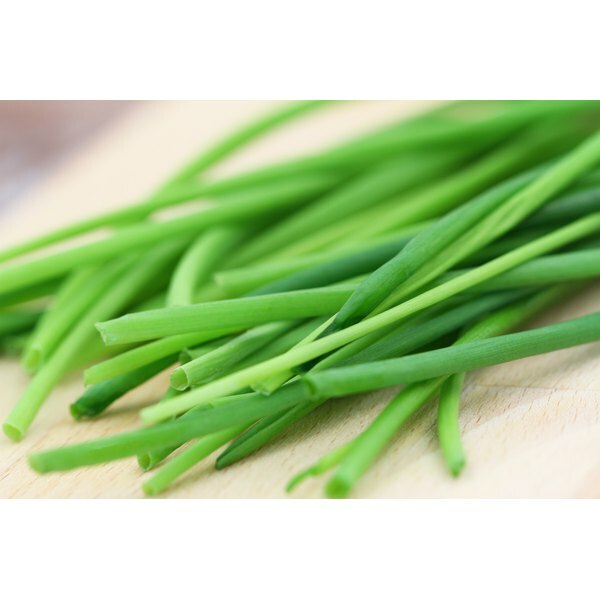 According to North Carolina State University, there is some evidence to support the use of chives to reduce blood pressure and improve digestion; as well as using chives oil for its antibacterial effects. Cinnamon has a fragrant aroma and a sweet taste; it’s available in strips of bark, rolled onto each other or in a fine powdered form. This culinary spice gives a pleasant taste and flavor to foods like custard, milk and coffee. It may be sprinkled on ice-cream or yogurt and it adds a delicious taste to cakes, cookies and other bake goods. According to Chetday.com, cinnamon may benefit individuals with type 2 diabetes by lowering sugar levels; it may also help to lower triglycerides and LDL or bad cholesterol. Turmeric, a perennial plant, is related to ginger. It’s a spice that gives Indian curry a yellow coloring and its significant flavor. Turmeric is a common condiment used in Indian dishes as well as in Moroccan cooking. The active ingredient in turmeric is curcumin. According to the University of Maryland Medical Center, turmeric is a potent antioxidant which acts to protect cell tissues from the damages of free radicals.